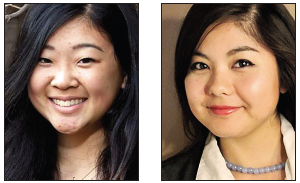 Camp Musubi is proud to announce the selection of camp counselors for summer 2014, Mei Yamamoto and Michelle Yamashiro. Along with supervising campers and facilitating the camp program, counselors serve as mentors and role models. Yamashiro was raised in Gardena and received her BA from UC Irvine and her Master of Arts in Teaching from USC. “I would like to continue my passion of teaching and guiding students during the summertime, as well as give back to the community that has taught me so much,” Yamashiro said. Yamamoto grew up in Torrance and attends Loyola Marymount University. Now in its 13th year, Camp Musubi is a weeklong day camp that uses fun activities to teach young people about Japanese American heritage. This year’s camp will take place July 14 to 18 at the Japanese American Cultural and Community Center in Little Tokyo. Camp Musubi is open to any middle school-aged student entering 6th, 7th, or 8th grade. The goal of the camp is to spark interest in the Japanese American culture and community through hands-on arts and cultural workshops, games, guest speakers, and field trips. Camp runs daily from 9 a.m. to 4 p.m.
Register for the 2014 Camp Musubi at www.campmusubi.org. Pre-registration is required. The deadline to apply is July 1. For more information, email [email protected] or call (213) 628-2725, ext. 107.